I want to let all you Salt Lakers in on a little secret. Headbands & Hardware is having a big sale on Monday, August 8th. 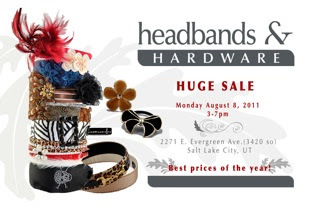 From 3-7 you can get amazing prices on hair accessories. That's not all, Whatever DeeDee Wants readers will get a free gift with purchase!